which includes some of the world’s best DJs. The top winner will receive prizes worth over $3000 USD. The Mixed In Key team will listen to each entry and pick the 20 best ones. The judging panel will then choose 5 winners. take the listener on a journey, and showcase innovation in harmonic mixing. Bonus points for original choice of tunes and samples and complex transitions, build-ups and breakdowns. Visit Mixed In Key DJ Contest to enter the DJ contest. Errr.. wth does that suppose to mean 8-)? 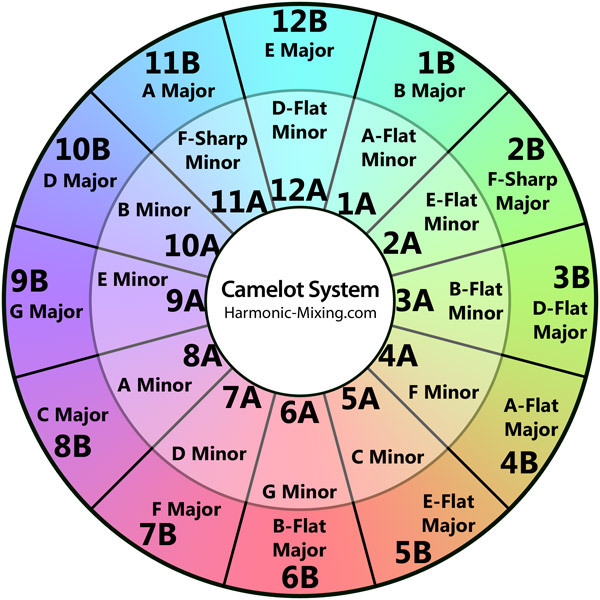 you don't know what harmonic mixing is? Mixing in key doesn't mean you need to plan your mix in advance. You can still mix based on what tracks you feel are right for the moment. When picking out the next tune you simply have an additional method of knowing which tunes fit together, and it's not like you always have to follow that method. Knowing when tunes fit harmonically allows you to confidently make long transitions where you blend melodies and also makes mashups a lot easier to come up with. furthermore they want the mix to "inspire listeners to become fans of that music genre"
U Can Do it Like 1A/2A/3A/3A/4A/5A/6A/7A/6A/5A ...etc , .... Also F With F# & G With G# ...etc . I 've Tried Alot & Found That The Best Way For Building Up My Mixes ,,, Also Sometime If I want A Track 2 Be on & Not On key , Always Use The Original & Use My ears 2 See If it Fits Or Not !! !